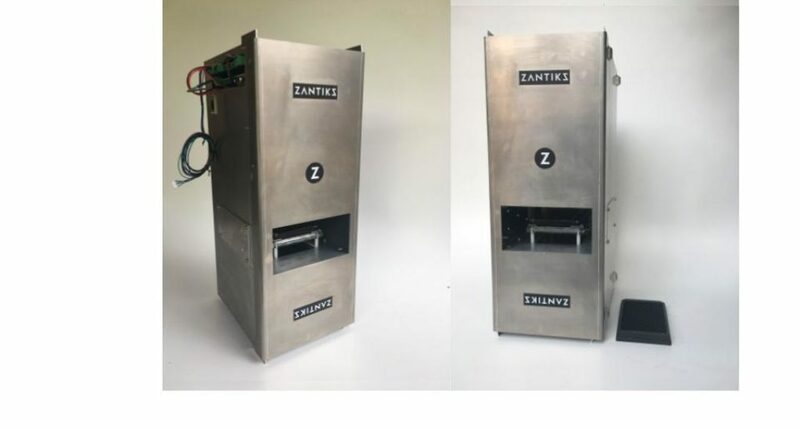 The Zantiks MWP unit helps standardise behavioural phenotyping in model organisms, such as larval zebrafish, Drosophila and Daphnia. To use the MWP unit you need a small space on your lab bench, a nearby power supply, and your own browser-enabled device (smartphone, table, laptop, PC, Mac). * Zantiks router is supplied with the first unit, this is typically a Cisco router with 4 LAN ports and 1 WAN port. Subsequent units can be networked to this router, using a network switch if necessary. ** Multiwell plates and Petri dishes not supplied. A new temperature control system is being developed for the MWP unit which will be a free add on for current users. How to set up the MWP unit: including the layout of the cables in the socket panel and how to insert a wellplate into the chamber, with or without a stand. Place the MWP unit on a stable surface close to a power socket and away from disturbance. Insert the 12V power supply cable into the top left of side socket of the MWP and plug it into the mains socket (see image below). Connect the ethernet cable at the side of the MWP unit, just below the 12V power cable, and plug this into any of the 4 slots available in the LAN section of the router. Turn on the router and turn on the mains socket for the Zantiks unit. Wait a few minutes for the MWP unit to power on. When using the MWP version with a screen text scrolls across the screen before displaying the IP address of the unit (which begins with the same 7 digits 192.168.1.). When using the MWP version with a vibration motor, your IP address is included on your delivery note. If you have only one Zantiks unit, the address will be 192.168.1.101. The IP address is used to identify the unit on the Zantiks Control Console. go to the address bar of the web browser and type in the IP address for your Zantiks unit (see step 4). Your web browser should now display the Zantiks Control Console page. Side of MWP unit showing where to insert the green connector plugs and cables. Bottom left the Ethernet cable plugs in; directly above it is the 12V power supply cable. On the bottom board are two 2-way green, connector plugs. On the top green connection board are the 4-way connector plug for the thermistor (left) and the 4-wire connector plug for the overhead lights (right). Next, go to the manual, Zantiks Control Console, to see how you operate the unit via your web browser.